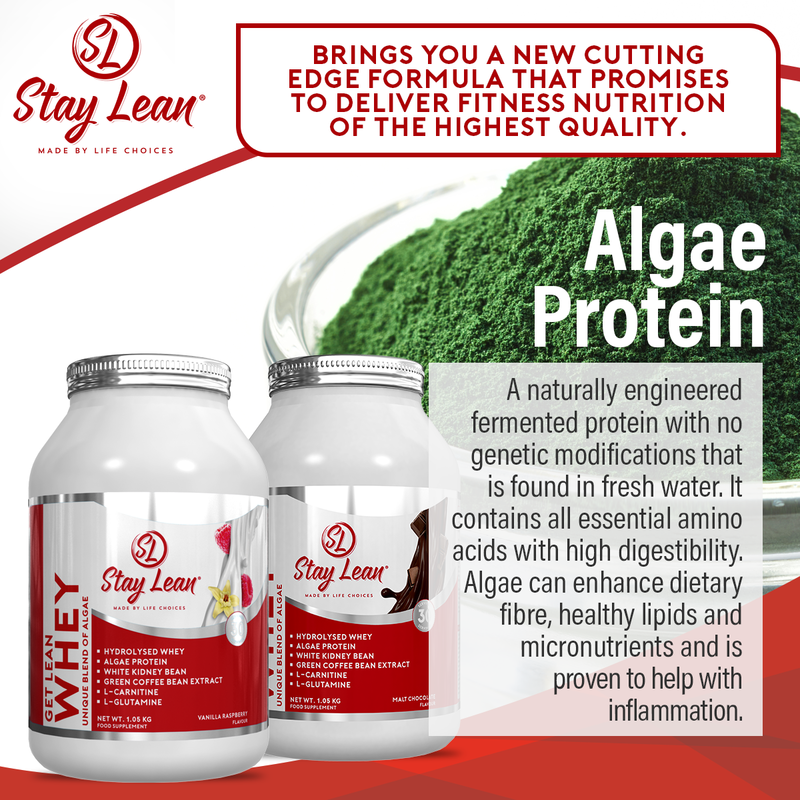 StayLean® Whey – A food supplement containing a unique blend of algae. Found in freshwater it contains all amino acids with high protein digestibility. Algae can enhance natural dietary fibre and help with inflammation. 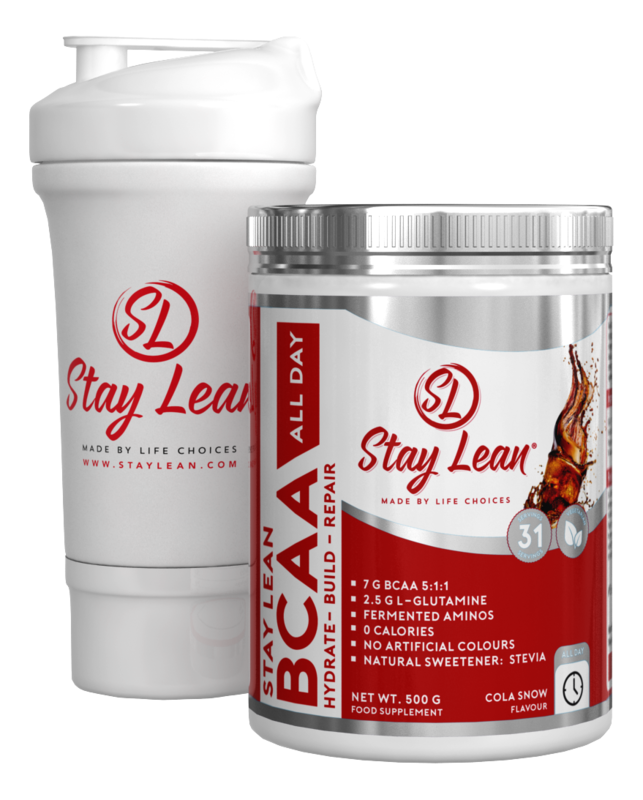 StayLean® BCAA – A high-quality free form fermented supplement and is suitable to take in all situations. Before (pre), intra (during) and post (after) training. 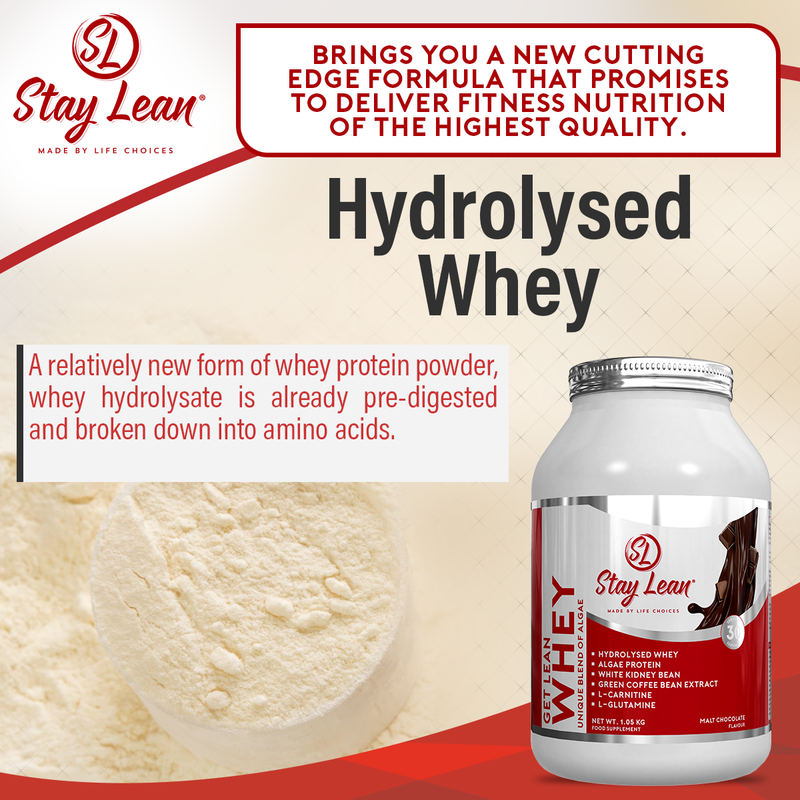 Hydrolysed whey is a relatively new form of whey protein powder. Unlike both concentrate and isolate, whey hydrolysate is already pre-digested and broken down into amino acids. 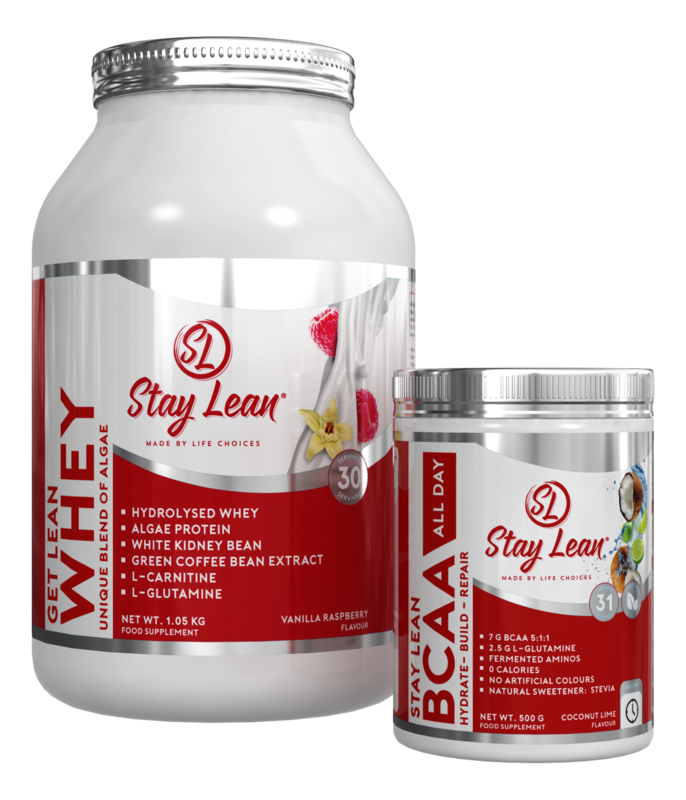 This makes for much quicker and more efficient metabolism of those important amino acids that make up whey protein. Algae: is a protein found in fresh water naturally derived and fermented. It contains all essential amino acids with high protein digestibility. Algae can enhance natural dietary fibre, healthy lipids and micronutrients. It is also proven to help with inflammation. 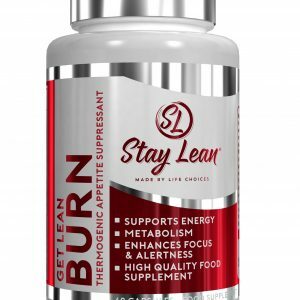 It is naturally engineered with no genetic modifications. 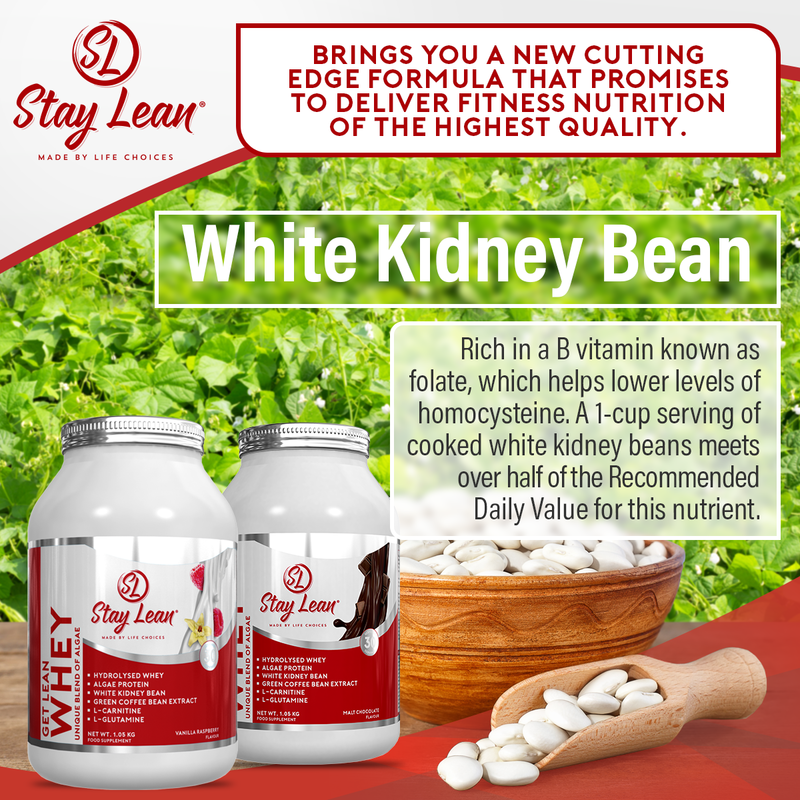 White kidney beans are also rich in a B vitamin known as folate. In fact, a 1-cup serving of cooked white kidney beans meets over half of the Recommended Daily Value, or DV, for this nutrient. Folate helps lower levels of homocysteine. Green,” coffee beans. 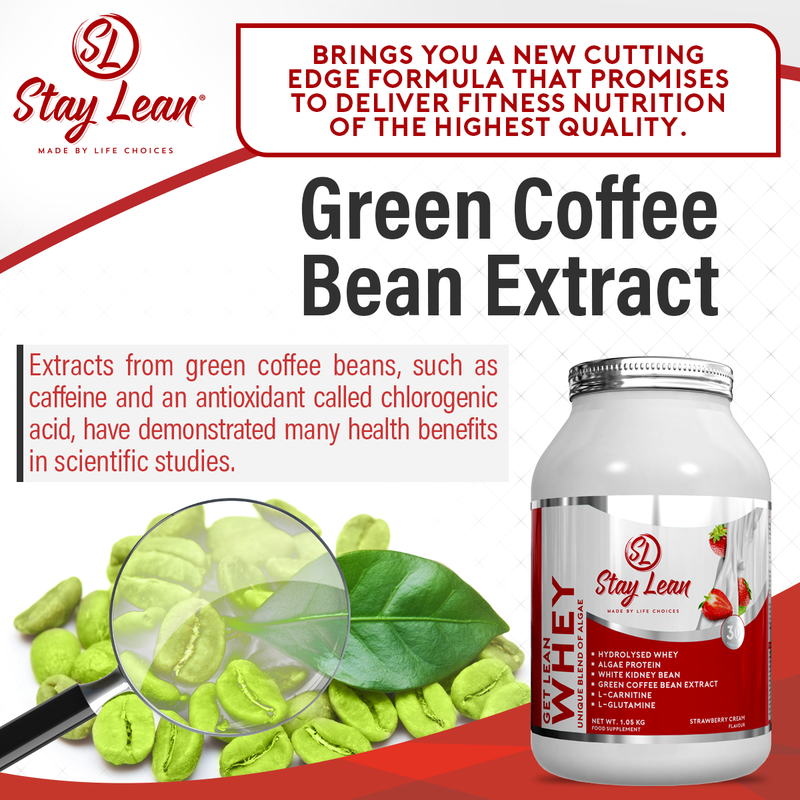 Extracts from green coffee beans have demonstrated many health benefits in scientific studies. The main components of green coffee responsible for these benefits appear to be caffeine and chlorogenic acid, a type of antioxidant. 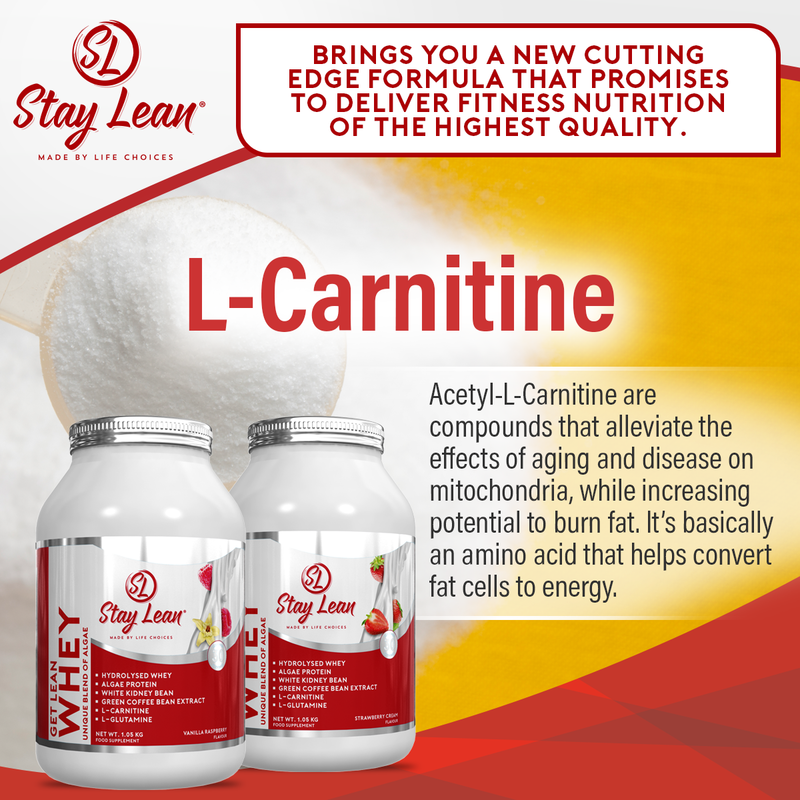 L-Carnitine and the related compound Acetyl-L-Carnitine (ALCAR) are compounds able to alleviate the effects of aging and disease on mitochondria, while increasing the mitochondria’s potential to burn fat. 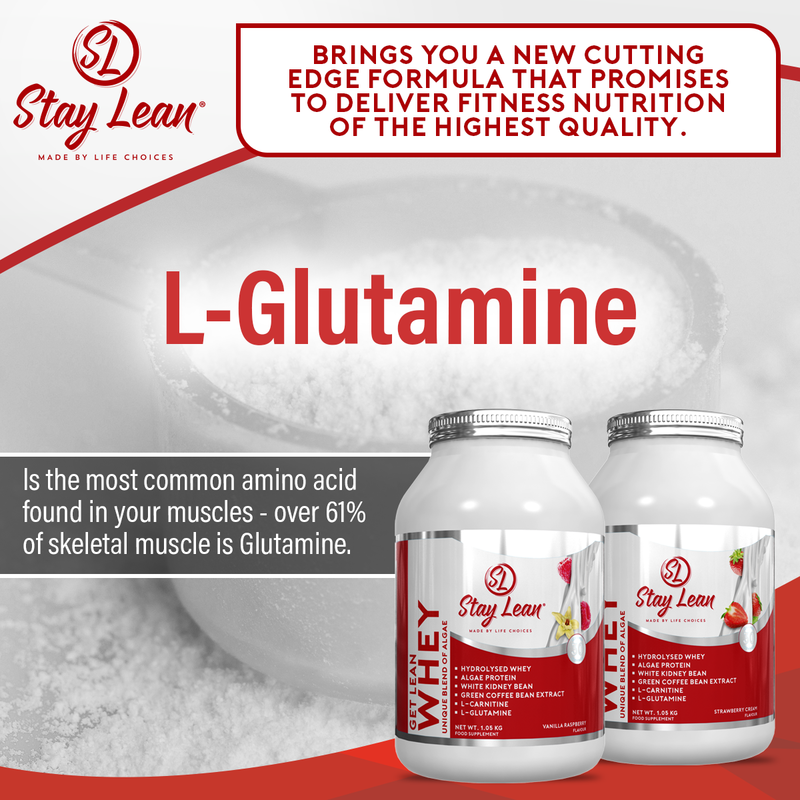 It’s basically an amino acid that helps convert fat cells to energy. 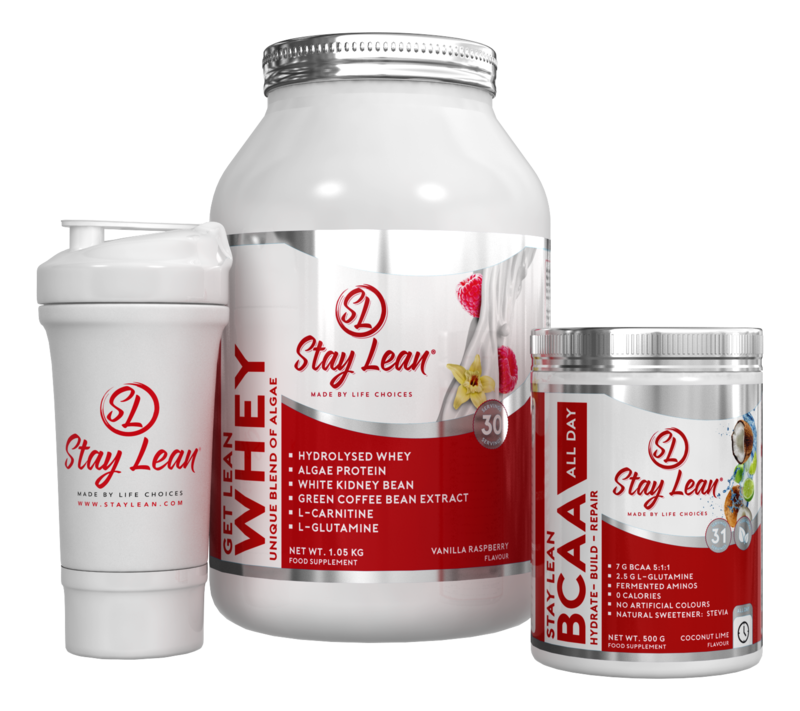 Whey Protein Hydrolysate 80 (milk), Milk Protein Concentrate 85 (casein 80% / whey 20%) (milk), Flavour, Tapioca, Starch (emulsifier), L-Glutamine, AlgaViaTM Protein, Beetroot Powder, Carboxymethylcellulose (stabilizer), Pumpkin Powder, L-Carnitine, White Kidney Bean, Green Coffee Bean, Sucralose (sweetener). Allergen Advice: For allergens, including cereals containing gluten, see ingredients highlighted. 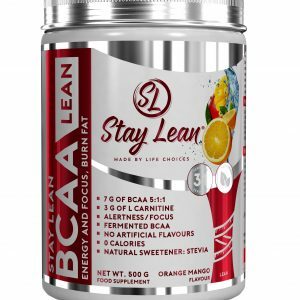 BCAA 5:1:1 (fermented) (L-Leudne,L-Isoleucine,L-Valine), Acetyl- L-Camitine, L-Glutamine, N-Acetyl-L-Tyrosine, L-Citrulline-D-Malate, Citrulline Nitrate, L-Taurine,Nl Flavouring, Green Tea Extract, CLA (Conjugated Linoleic Acid), Green Coffee Bean Extract, Sweeteners (Sucralose, Steviol Glycosides (Stevia)), Stabilisers (Citric Acid, CarboxyMethyl Cellulose), Guarana Seed Extract, L-Theonine, Ginseng (Panax), Vitamin C (Ascorbic Acid), Tri-Calcium Phosphate, BioPerine®, Potassium Chloride, Vitamin B6 (Pyridoxine), Sea Salt, Vitamin B12 (Flotate).